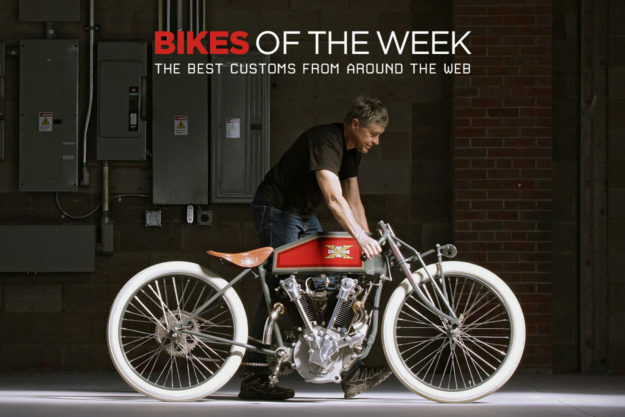 A man on a mission to recreate the notorious 1919 Excelsior OHC boardtrack racer, the return of the Triumph Speedmaster, and a gold-themed BMW bobber from Portugal. 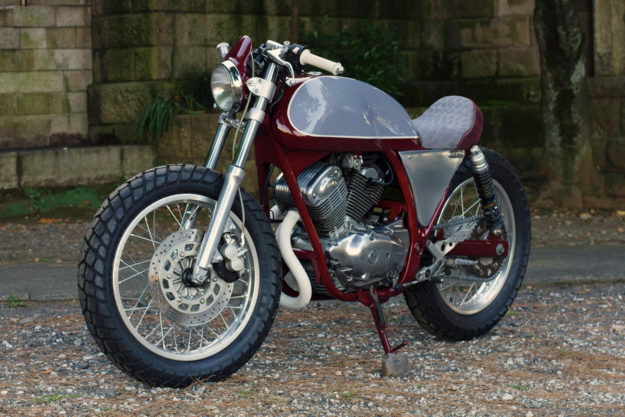 Plus a perky pair of new builds from Speedtractor of Tokyo. We’re celebrating diversity this week. 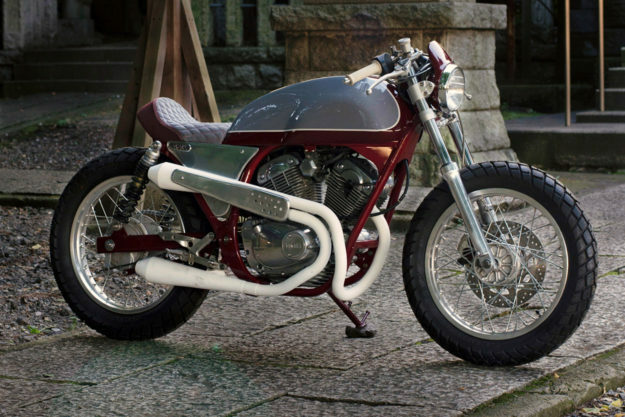 Yamaha SRV250 by Speedtractor If you are ever lucky enough to see a Yamaha SRV250 in the wild, you might notice a sticker on the sidepod that reads ‘Soulful V Twin.’ when hotted up with twin carbs and a more aggressive cam, Yamaha’s mid-nineties modern classic was more than just a Virago with window dressing: it was a bona fide performer. Which is one of the reasons Matt Roberts and his Speedtractor crew have created ‘Odd Job’ here. Their aim was to create a rough and ready version of the factory café, and we’d say it’s mission accomplished. Excelsior OHC by Paul Brodie The story behind the Excelsior OHC is one of ingenuity and determination, and only briefly saw the light of day. 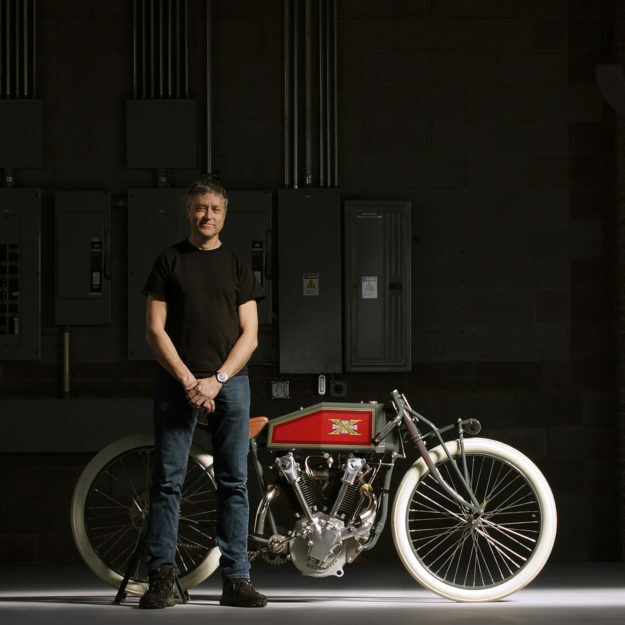 Due to a mechanical issue at the rear axle, the boardtracker built to beat Harley and Indian crashed and killed its rider on its debut run, and the entire project was scrapped. 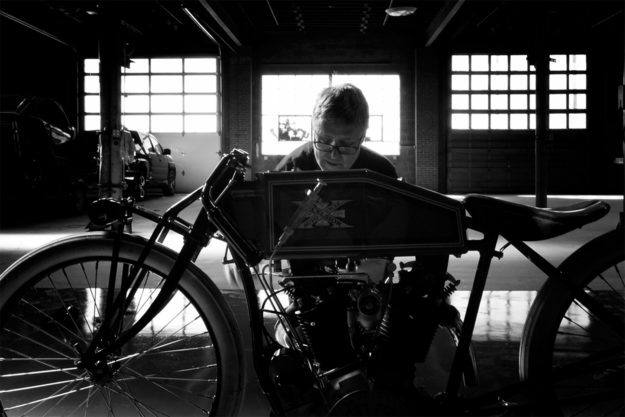 Paul Brodie of Vancouver, Canada is the expert craftsman behind this incredible recreation, and making sure the Excelsior is more than just a footnote in racing history. This particular example is the fourth of ten bikes that Brodie will create, and everything you see here is completely handmade. The engine casings were drawn by Brodie’s own hand before being gravity cast to create the aluminum parts. The fork linkages, carburetor, cylinders and intake manifold came about in much the same way. Even the nuts and bolts holding everything together are bespoke. Most impressive of all, Brodie began this experiment by working only from old photos—of only the right side of the original Excelsior no less—to create his masterpiece. 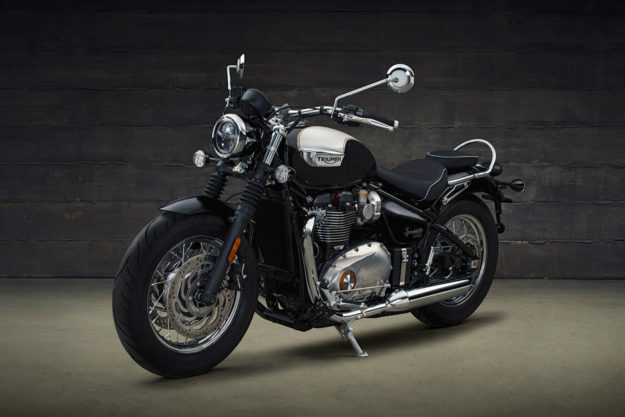 New: Triumph Bonneville Speedmaster When Triumph revised its Bonneville line two years ago, the Speedmaster was noticeably absent. Thankfully, Hinckley’s custom cruiser wasn’t forgotten. 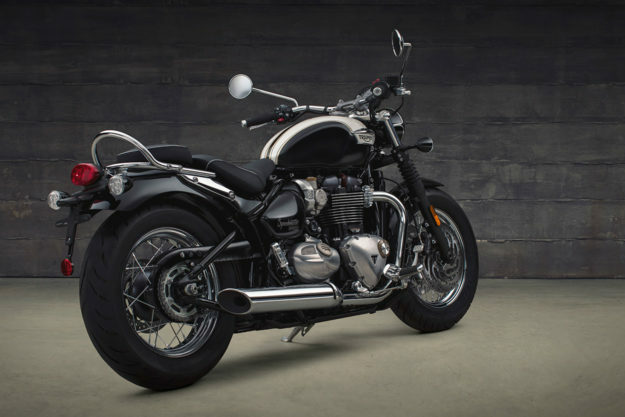 The new version, based on the Bonneville T120 and unveiled earlier this week, shows a commitment to getting it right. First things first: this new Speedmaster looks absolutely stellar. It expertly combines the badassery of the Bobber and luxury of the Bonnie to deliver a classic British design. 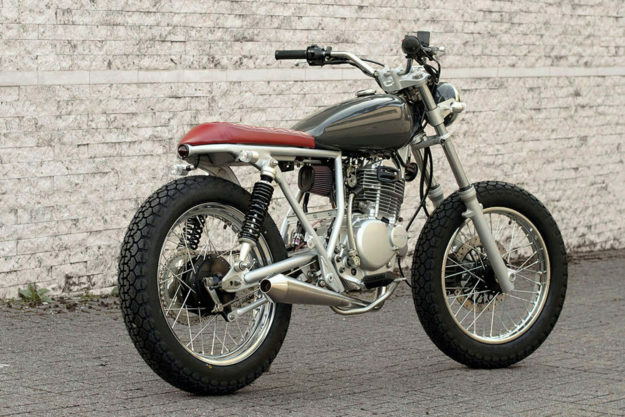 The chassis is the same faux hardtail unit used in the Bobber, but this time around a fixed-unit fender has been added to allow for a pillion pad and grab rail. The suspension has changed to accommodate added passenger weight and the Bobber’s miniscule (yet oh, so pretty) tank has grown to allow for increased range. Other differences lie in the use of forward controls and a move to 16-inch rubber up front. 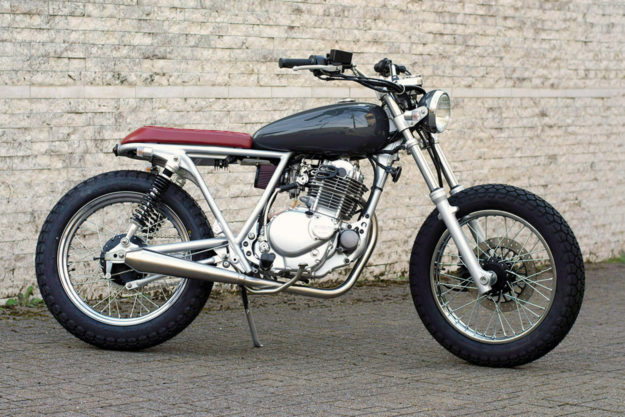 Suzuki TU250 by Speedtractor Addition through subtraction can be a tough concept to properly nail down. Especially in bike building, where it can be easy to get carried away. Matthew Roberts, the helm of Tokyo’s Speedtractor, has it figured though. One of his latest creations, the Silver Fox here, delivers on Dieter Rams’ design principal of ‘Less, but better,’ to an absolute T.
The client for this Grasstracker had a love for geometry and symmetry, so one of the first orders of business was to clean up and revise the little Suzi’s frame. With the rear hooped and a new taillight neatly integrated, the Speedtractor crew was able to graft near parallel lines with the new mid down tube to match the stock front down tube. 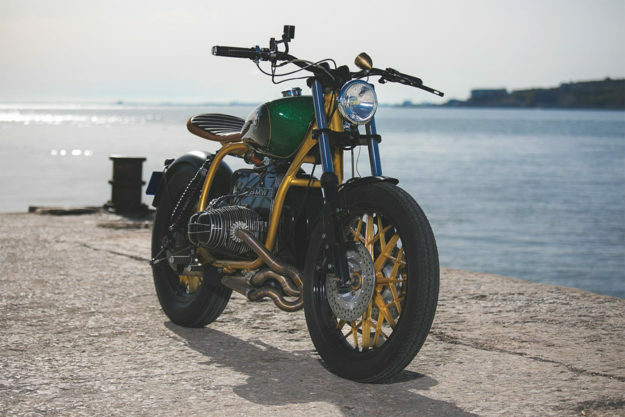 BMW R65 by Unik Edition I’ve never been a big fan of gold. Neither the metal nor the color has ever really spoken to me. 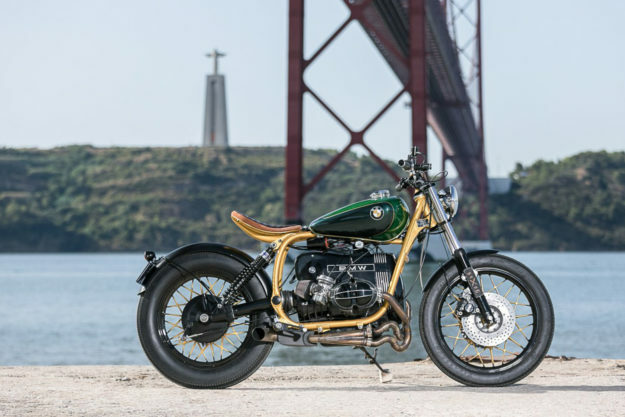 That is, until I laid eyes on this gorgeous R65 Beemer from Portugal’s Unik Edition, which is saying all of the right things. Originally a barn find and covered in rust, Luis and Tiago’s take on a bobber is a brightly cultured sight for eyes sorely blanketed by blacks and greys. Named ‘The Hulk’ after the lustrous green sheen adorning the old Virago tank, this early 80s boxer has been completely rebuilt. The rear has been lopped off the original frame and a pair of shock mounts welded on to accommodate the Hagon suspenders. Electrics have been tidied, thanks to Motogadget, and a custom exhaust snakes around down low. It all combines to highlight the gold paint on the frame—and expert application on the wheels as well.